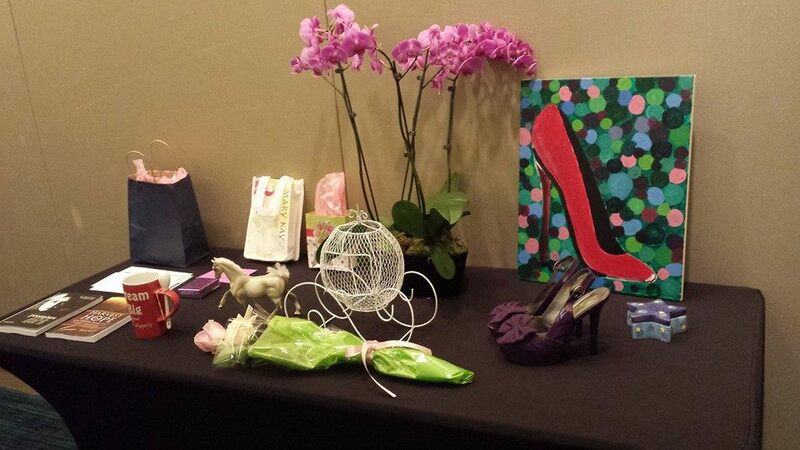 This was some of the feedback from The Cinderella Story: The Power of Shoes women’s conference on Saturday, September 20, at The DoubleTree Hotel in Overland Park, Kansas. I was able to speak at a live event and share the message God put on my heart. We prayed and ministered to women there. God’s Holy Spirit was present. It was a success! Thank you, Jesus! 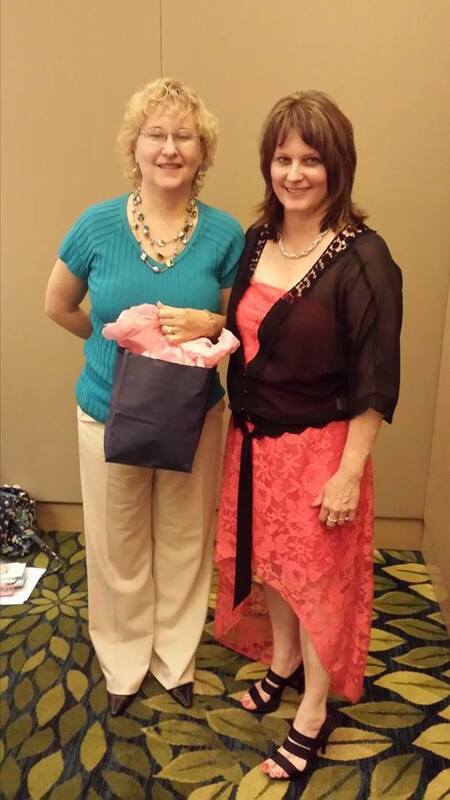 A big thank you to my hard working husband Ray, our daughters Heather and Leah who helped me so much, Ruth my pastor and sound person at the event, our amazing vendors Shelby Guilford and Janean Lindner of Origami Owl custom jewelry and Carol Gometz of Thirty-One Gifts, and our wonderful sponsors. Without all of you, I couldn’t have done this. Thank you SO much! When I told my anointed jewelry artist friend Jennifer Whiddon about the idea for this Cinderella event, she was so excited and began brainstorming the idea for my speaking presentation title: The Cinderella Story: The Power of Shoes. Together we decided the hook would be a funky dress and shoes, something unique and different ~ because Cinderella felt different from everyone else. She didn’t think she’d be able to go to the ball and have fun, like her stepmother and stepsisters were going to. Unloved, abused, and rejected by them, she always felt like she was on the outside looking in, the way I’ve always felt. Yet God didn’t create us to fit in, but to stand out. To lead. To be women of influence and impact. As believers, we are a peculiar people – a light in a dark world. Cinderella was chosen to be the beautiful bride by the Prince, just as we are chosen by our Prince Jesus to be His beautiful bride. I looked for weeks for a funky dress and wanted one that was assymetrical (also called a high-low dress). 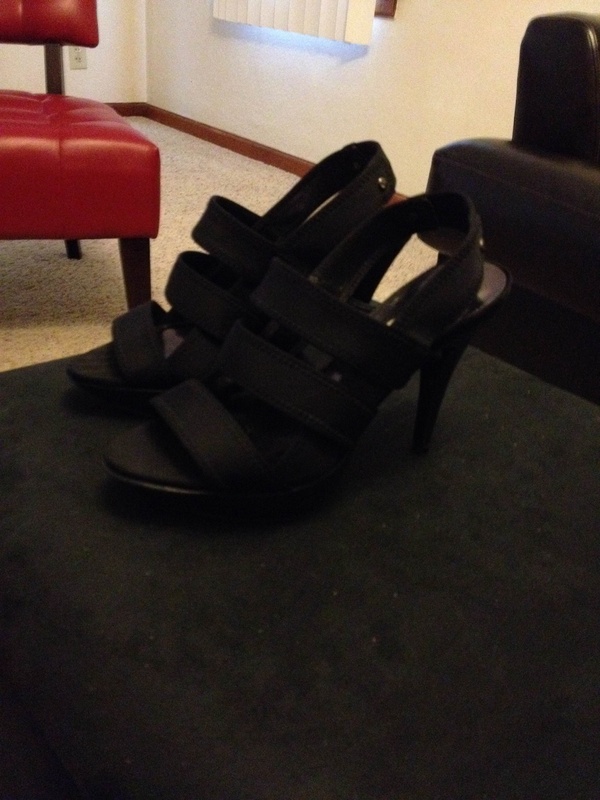 I found the perfect one at Joni’s Fashions in Harrisonville, MO; I love it! (My husband Ray did, too.) I was drawn to it as soon as I saw it and then Joni went right to it, too, when I asked her about high-low dresses. Even better, it was on sale and the sheer, lacy black jacket that went over it. I love when God helps me get bargains like that! 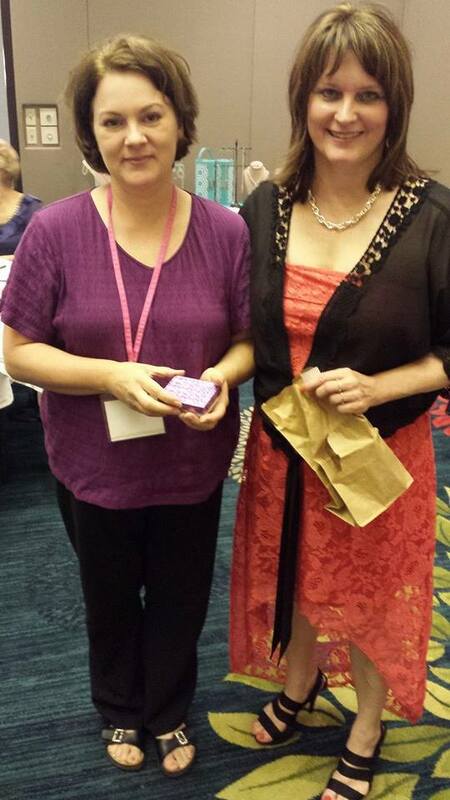 All the women who registered came ~ including one woman from Texas, Deborah Lawrence! What an honor! She and I agreed to get together for lunch soon with her friend/attendee Simmie McMillan while Deborah is still here in Missouri. 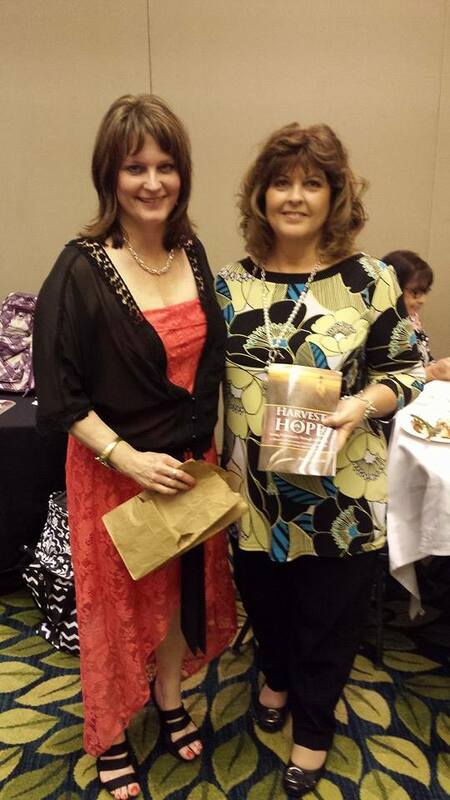 Deborah was also one of the winners of our generous sponsor give-aways, Harvest of Hope: Living Victoriously Through Adversity by author Dana Arcuri. The conference happened to fall on my birthday. 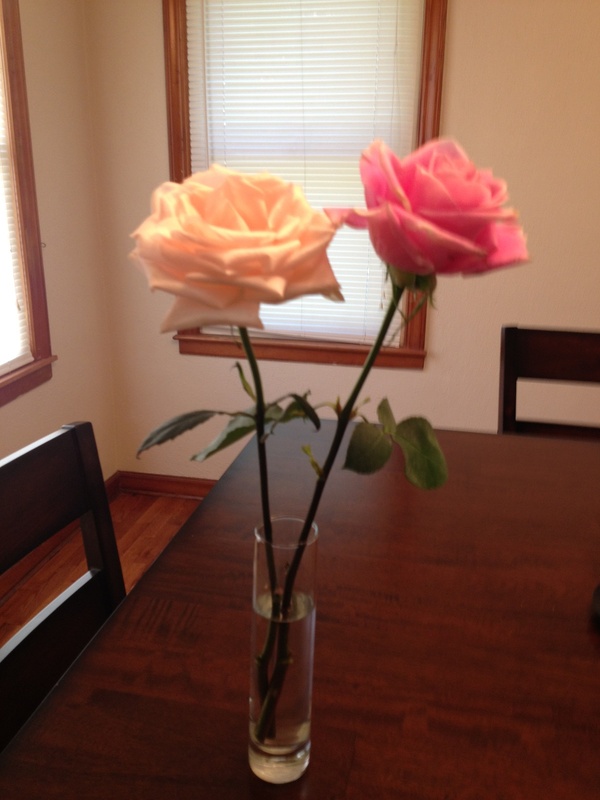 Deborah and Simmie really blessed me with these beautiful roses for my birthday at the event – what a delightful surprise! My pastor and friend Ruth Christian had everyone in the audience sing Happy Birthday to me, and my small group friends Penny Frisbie, Ruth, Anita Andreas (one of our book author vendors at the conference), and Liz Zacharias gave me a sweet card and a beautiful, silver bracelet with a cute flip flop charm on it – I love it! My fave shoes are boots and flip flops. a bouquet of long-stemmed, red roses. 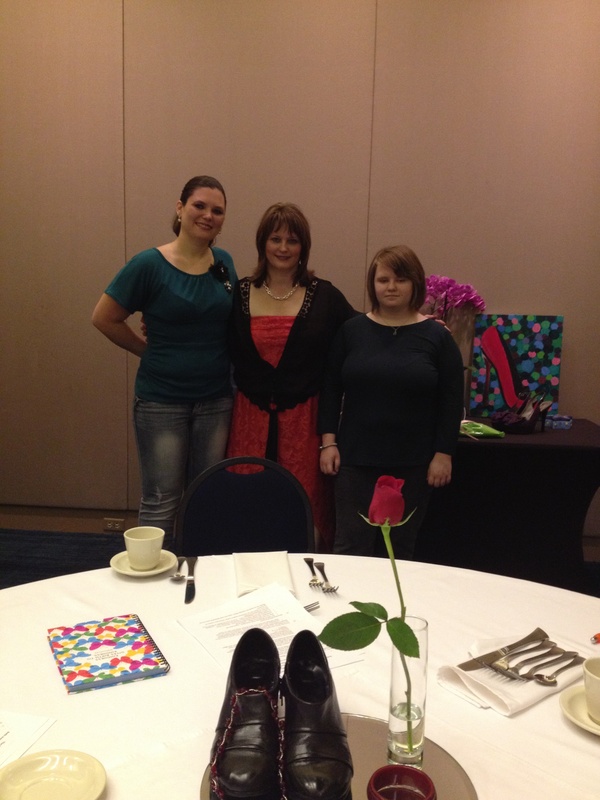 Our winner for the grand prize winner Cinderella princess pampering day was Barbara Johnson. Congratulations, Barbara! I bought a toy princess tiara and she proudly wore it. She’s going to give it to her granddaughter and said she will love it, too. 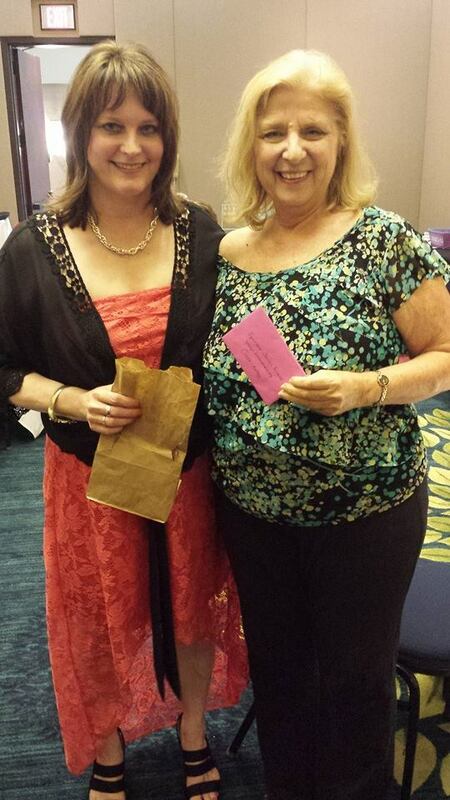 Joanie Qualls was the winner of a coaching package from Rochelle Valasek, valued at $250. Congrats, Joanie! 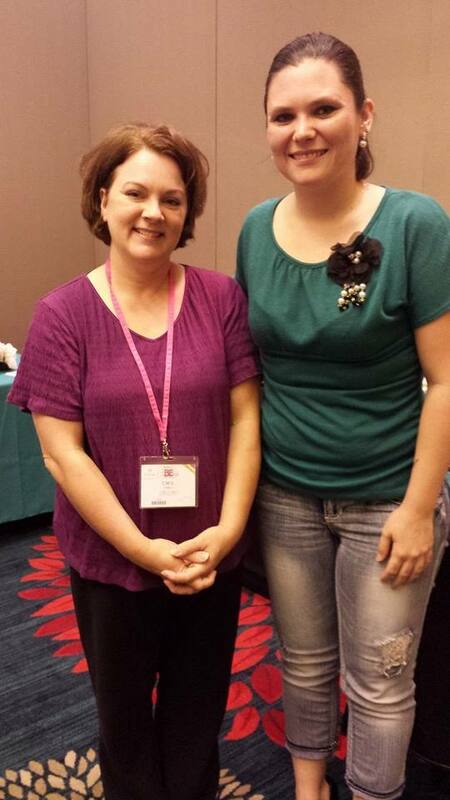 I met Joanie at the marriage retreat in Branson, MO. Ray and I are getting together soon with Joanie and her husband. She and I instantly connected at the retreat, and I just love her! Joanie is Barbara’s sister. 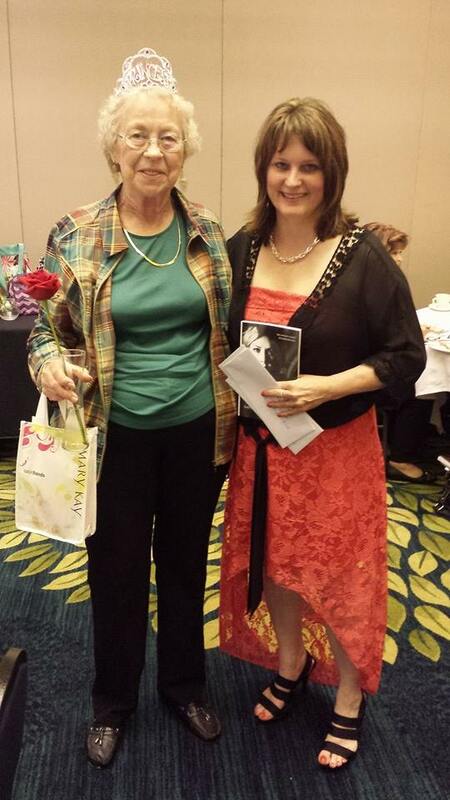 Our daughter Leah Jones was winner of a bottle of Young Living Essential Oil lavender oil, generously given by our sponsor Phyllis Miller. My friend and Sunday house church pastor Ruth Christian was the winner of my red DREAM BIG coffee cup and Wild Berry Zinger tea give-away. Ruth was also a great prayer support, encourager, and the sound person for worship and praise at this event – I think the hardest job (other than mine!). 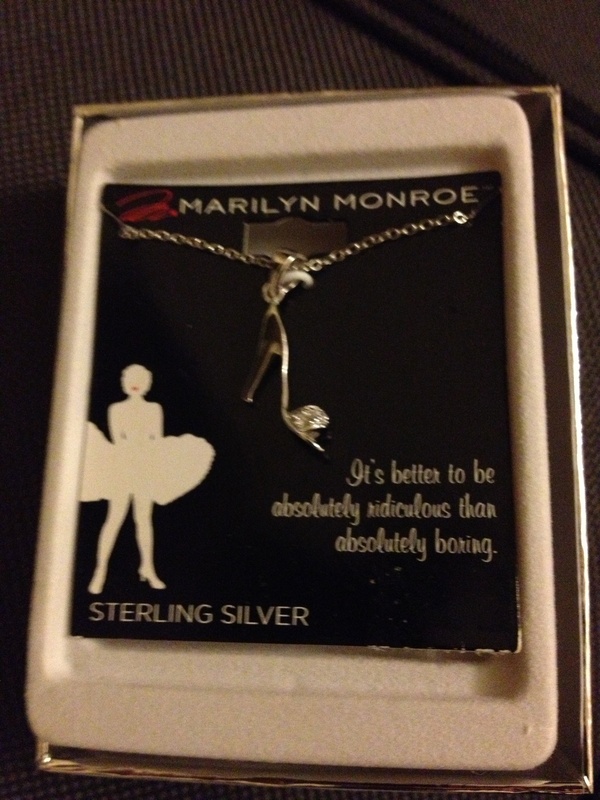 I bought this Marilyn Monroe, sterling silver shoe necklace to give away. I secretly coveted this. Inside the package, it reads, “It’s better to be absolutely ridiculous than absolutely boring.” I read it and everyone laughed. 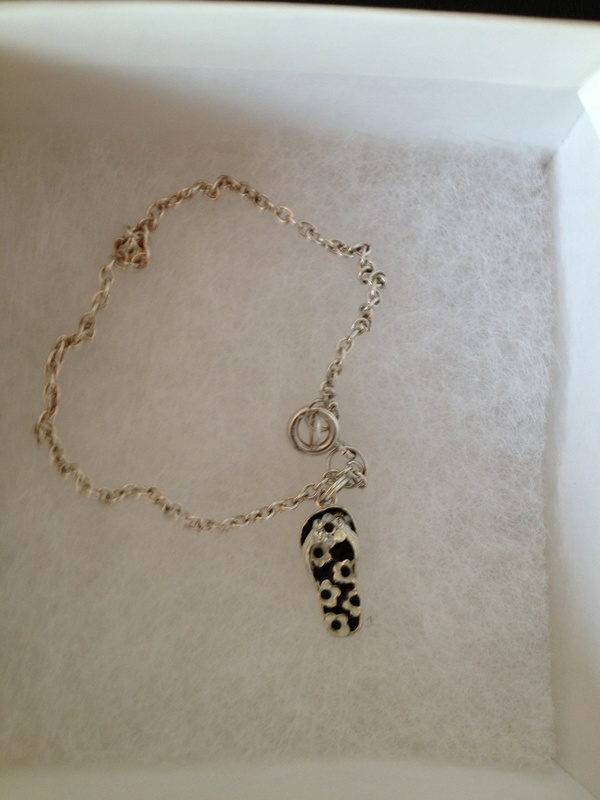 Our awesome Thirty-One Gifts vendor Carol Gometz was the winner of this necklace! 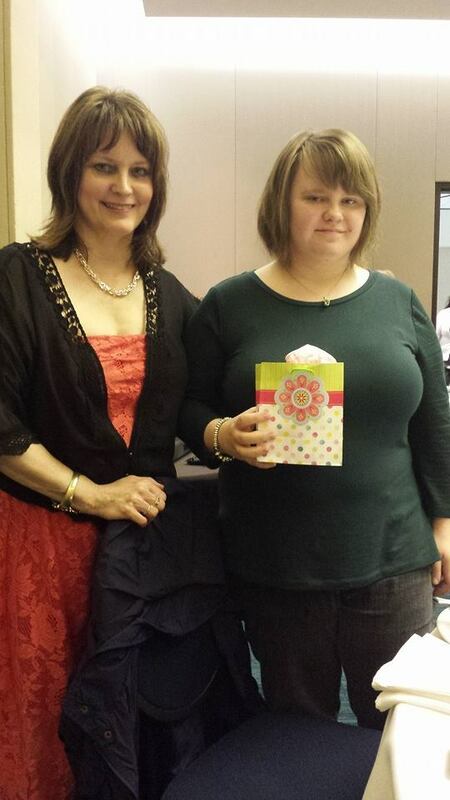 Our oldest daughter Heather was the winner of Carol’s free drawing – a cute makeup bag. 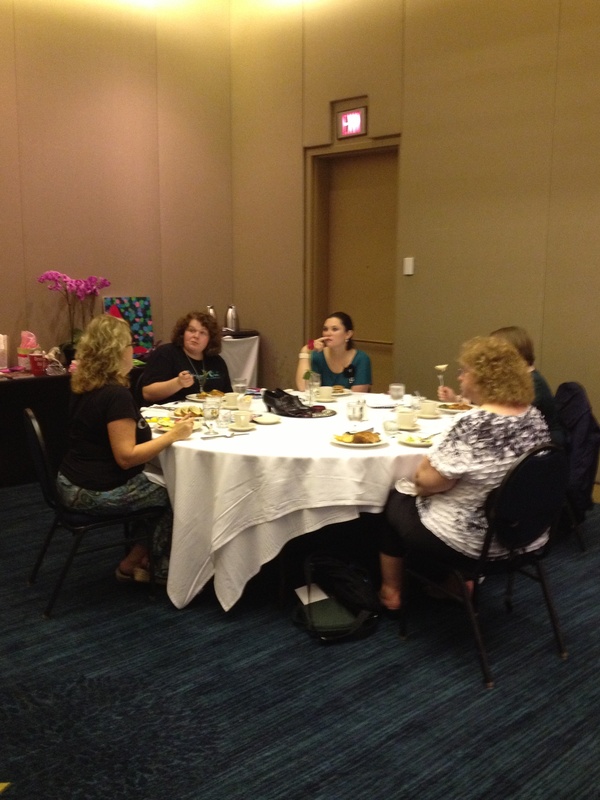 Heather was also available as a vendor for Wild Tree healthy, organic products. 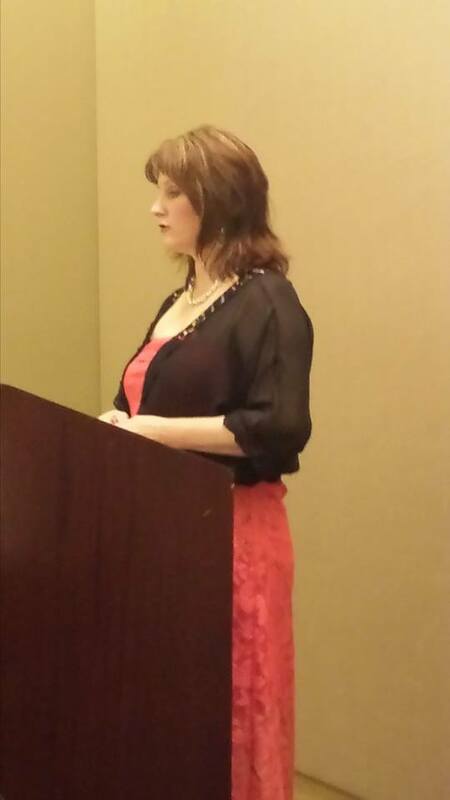 Here I am giving my speaking presentation, The Cinderella Story: The Power of Shoes. 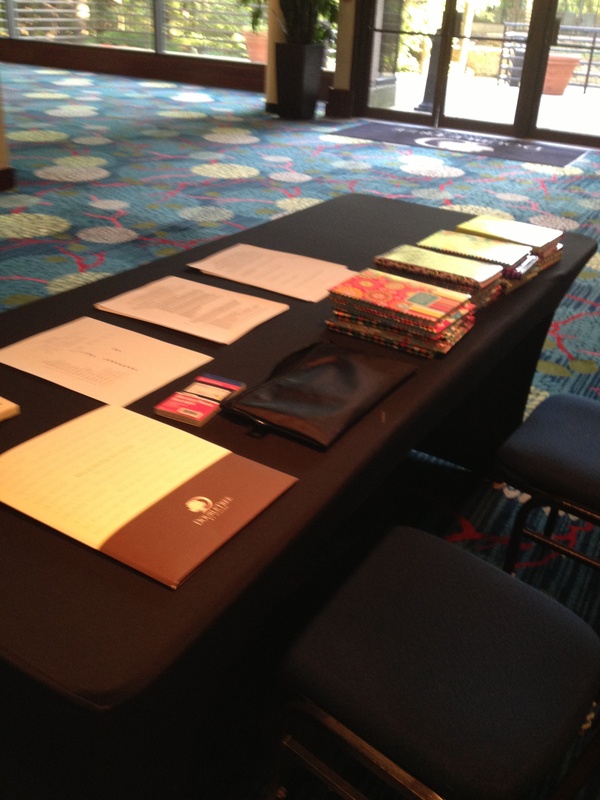 I gave each attendee a journal with their handouts. I borrowed the journal idea from my Canadian friend Doreen Penner. During my speaking presentation, we did some writing exercises, which the attendees said they really enjoyed and gave them some new insights into themselves. This was the center table up front near the speaking podium with my visual aids: a white pumpkin coach and white horse, a red shoe painting that Heather painted with her friends one night, the DREAM BIG red coffee cup, my “Wish upon a star” ceramic container, my new book Promises In The Dark, and Heather’s purple high heels. Heather also gave me the beautiful purple-pink orchids for the table and as a birthday gift. I also put the roses that Deborah and Simmie had given me on there. We had an awesome server Ali- who my friend Penny Frisbie found out was a single mom of a two year old child and a Christian! Ali had been up since 5 a.m. and had a wedding to serve at after our event. I believe single moms have the hardest job in the whole world! God, pour out your blessings on Ali! A shoutout to Ethan, our banquet manager. 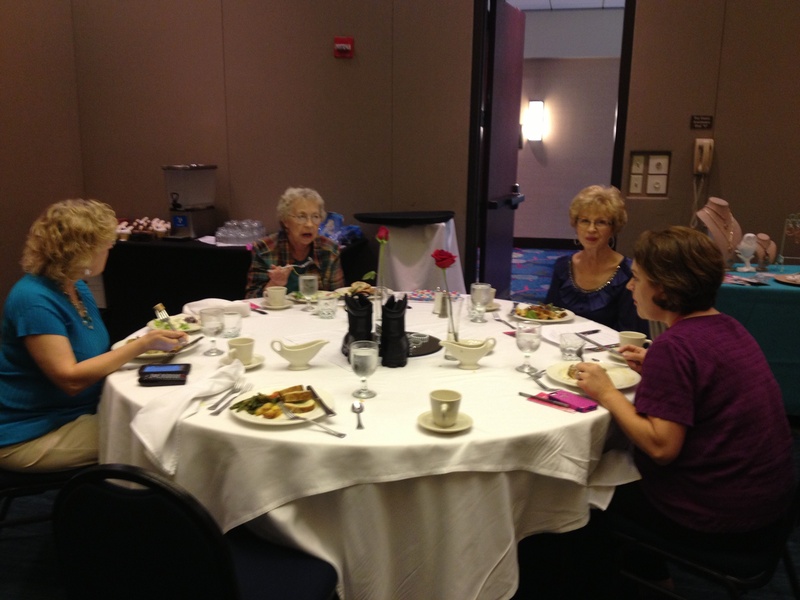 I had the event at The DoubleTree Hotel in Overland Park, KS. It is beautiful and if I have more events, I’d LOVE to use this venue again. 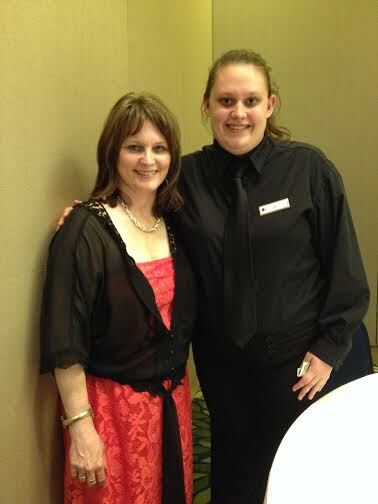 Tracey Grosdeck is the Senior Catering Manager -she was wonderful to work with! 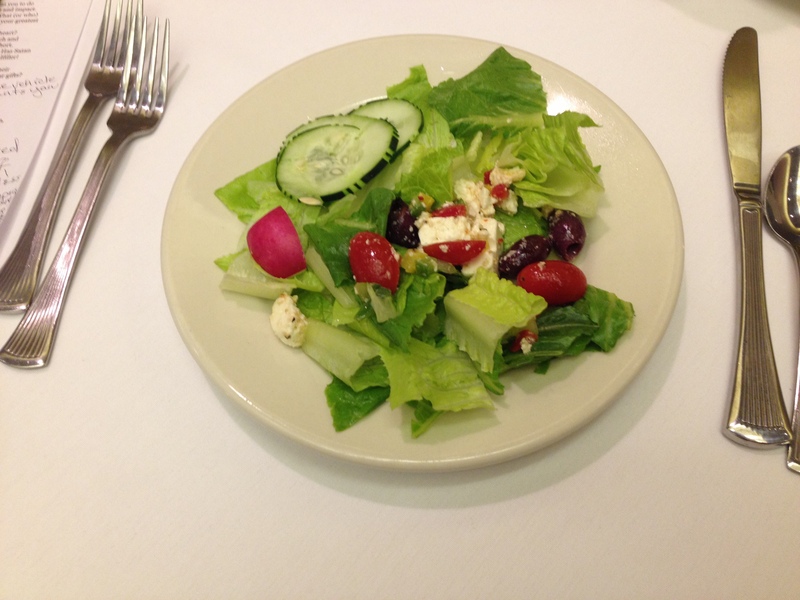 The Greek salad for our lunch was delicious. 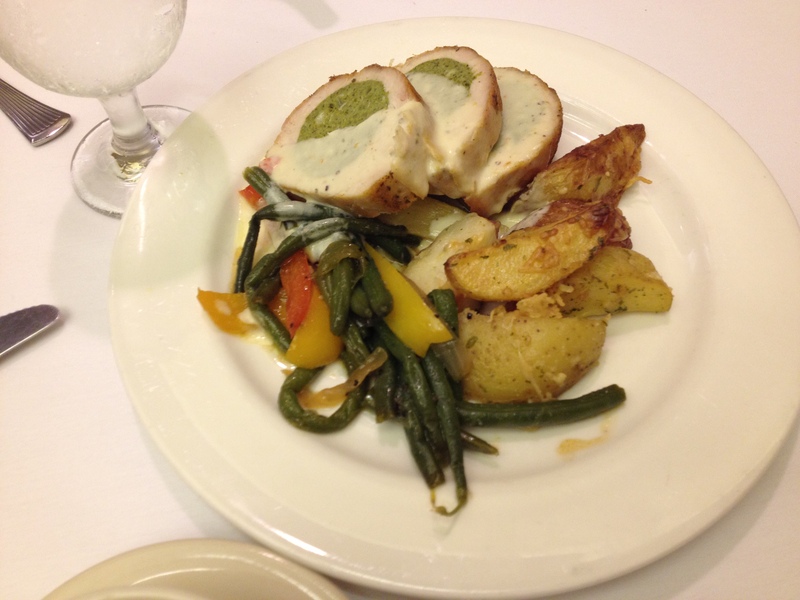 The main course was Chicken Florentine Roulade (spinach stuffed chicken breast served with pesto cream sauce and roasted red potatoes). I asked for feedback from the attendees on the event, including the lunch menu. This dish had mixed reviews. Some thought it was delicious. I personally didn’t care for it, but loved the salad and the strawberry cheesecake dessert! 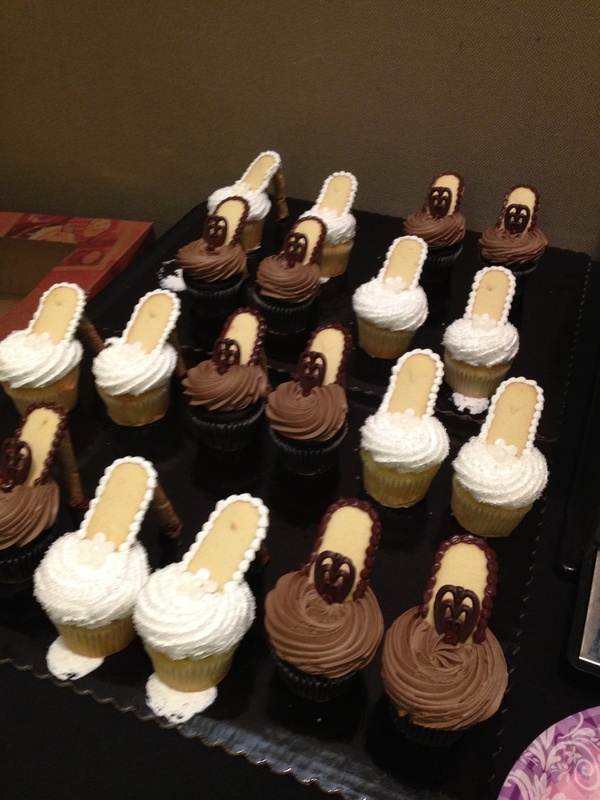 Ray found creative, cute shoe cupcakes online, and Heather sponsored and ordered chocolate and vanilla shoe cupcakes at HyVee. The ladies took these home with their goodies bags. 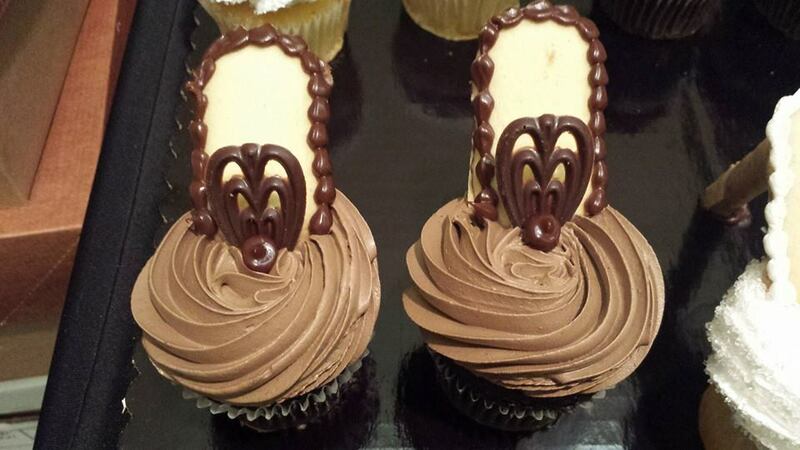 The cupcakes were delicious! 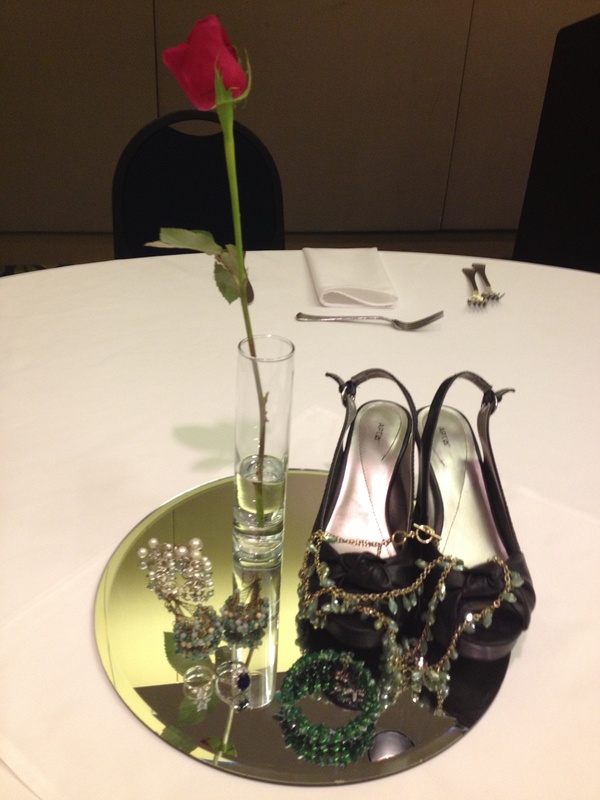 Each table had decorations of a glass mirror, my shoes and jewelry. 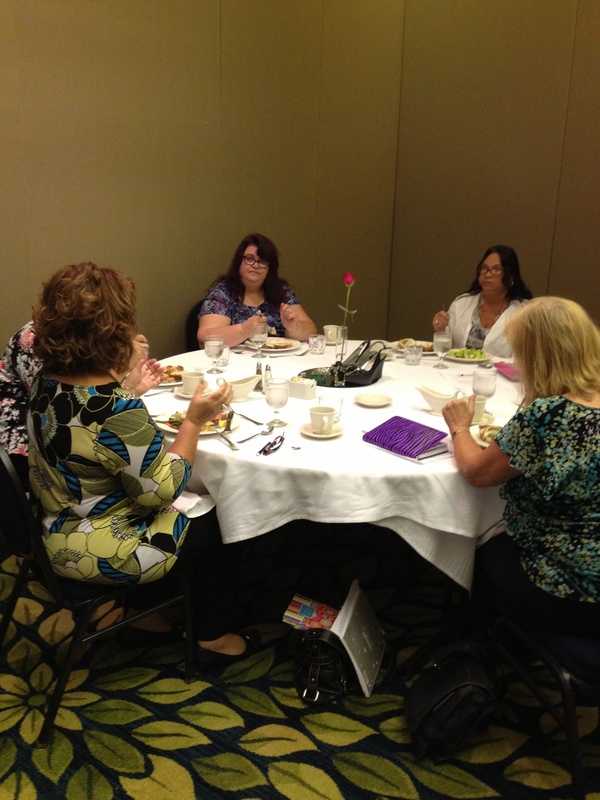 I borrowed the idea from my friend Helen, who is an interior decorator and she did the tables for Doreen Penner’s retreat in Manitoba, Canada, when I spoke there several years ago. 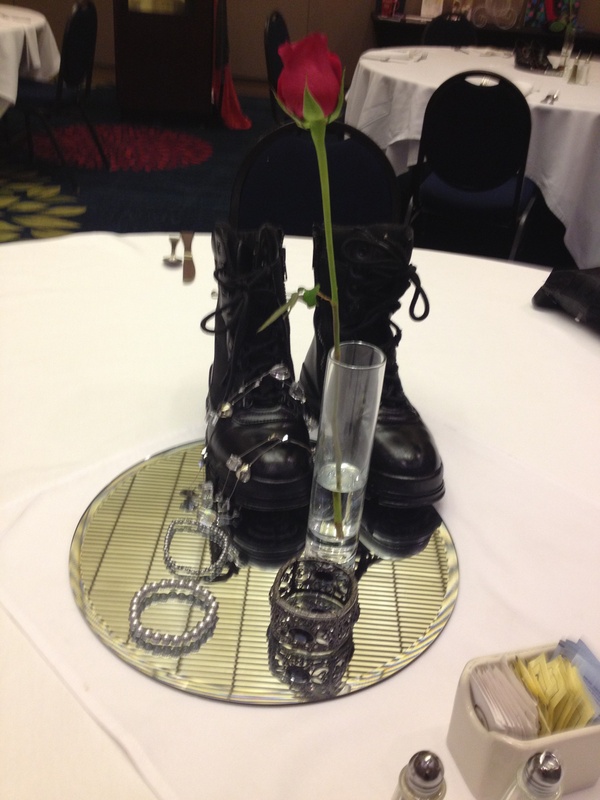 My husband Ray gave me the idea to include combat military boots as one pair of shoes for the table decorations. There are times when God calls his women to war. 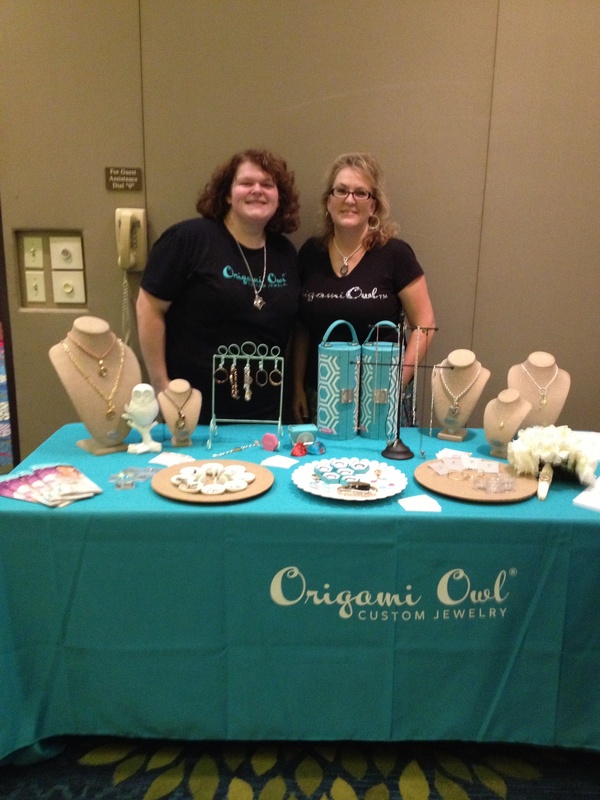 Our main vendors for this event were Shelby Guilford and Janean Lindner with Origami Owl custom jewelry. Janean shared her exciting story of how she won her dream car, a VW bug (also my dream car!) through this company. The women had fun shopping at the vendors at the event. 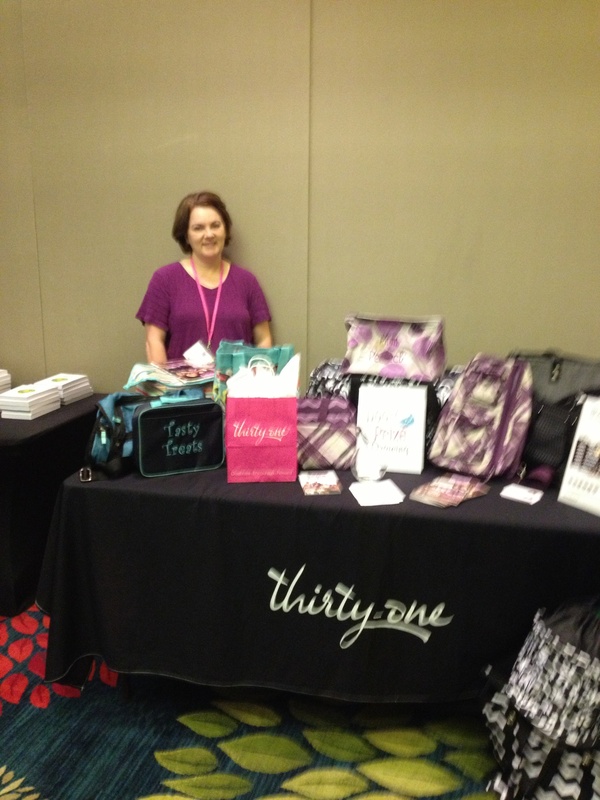 Carol Gometz was the Thirty-One Gifts vendor. 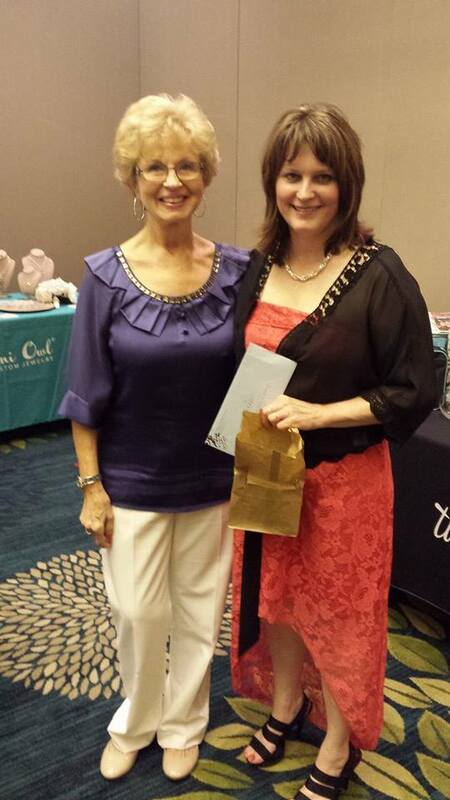 I was so excited she was there – I can’t wait to buy one of her purses! Women told me they thought it was amazing and they felt cherished and loved as God’s Cinderella princess daughter, they felt empowered to use their gifts for God and to pursue their purpose, and they felt encouraged to cultivate a daily deeper relationship with God. This fulfilled the purpose of the event, so I consider it a success! Thanks to God, my hard working husband Ray, our daughters Heather and Leah who helped me so much, Ruth, my wonderful sponsors and vendors. Without all of you, this wouldn’t have been made possible. Remember to walk in the unique, God-designed shoes (purpose and calling) God has for you. You don’t need to feel envious or jealous of anyone else, or compare yourself to other women. You weren’t made to fit in, but to stand out – as the Prince’s chosen, beautiful Bride. 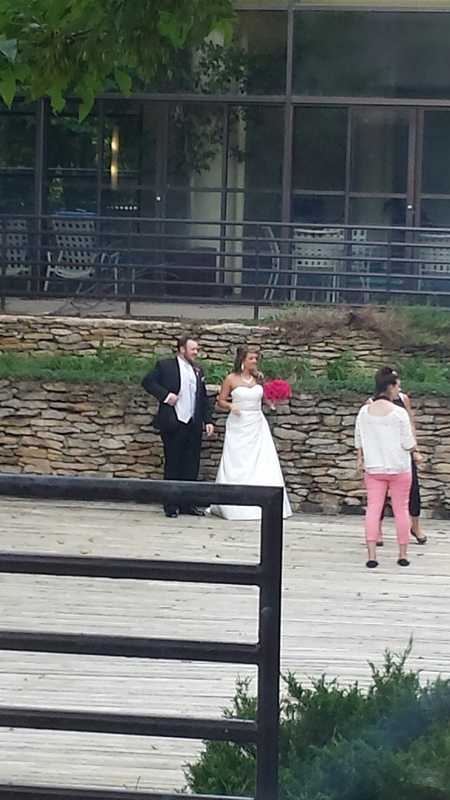 As Ruth, Leah and I were packing up and leaving the hotel, I noticed a photographer was taking pictures of a groom and his bride outside. I thought it confirmed God’s message to the women at this event and felt it was prophetic and significant.